The hunting and Trapping Regulation is a summary of the B.C. hunting and trapping regulations made under the Wildlife Act, prepared for the convenience of hunters and trappers. Electric fencing is a great option for securing your backyard chickens, beehives, fruit trees, and more. WildSafeBC strives to be the go-to resource for electric fencing and their page will continue to be updated as WildSafeBC produce more related contents. 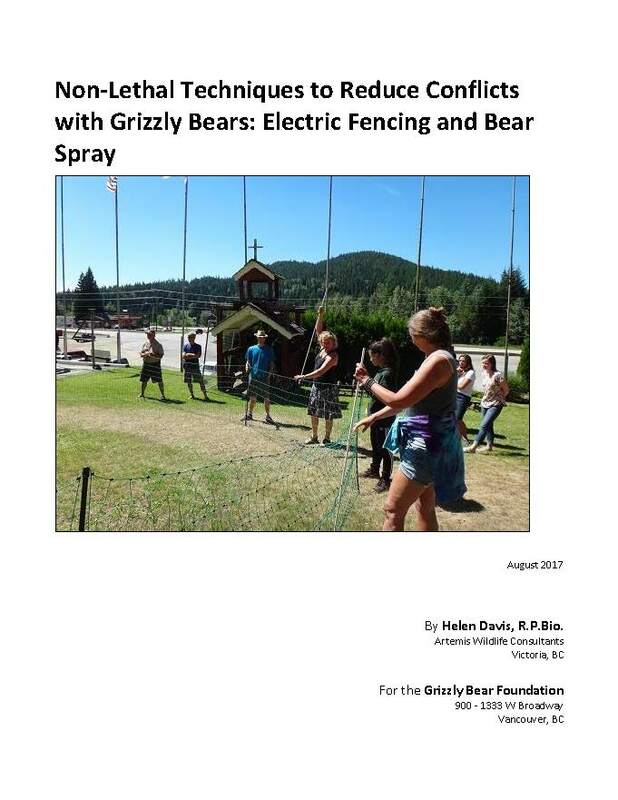 This report summarizes the current state of knowledge regarding the use of electric fencing and bear spray to reduce human-grizzly bear conflict in British Columbia (BC), identify industries, activities, and land-uses that occur in BC that have the potential to create conflict, and identify target audiences and partners within BC that could use information to better inform their practices to reduce human-bear conflict. This report is an outcome of the Grizzly Bear Foundation’s Board of Inquiry.